Meet you local guide in front of the equestrian monument of Vittorio Emanuele II, which is just a short walk along the water front not too far from Saint Mark's Square. 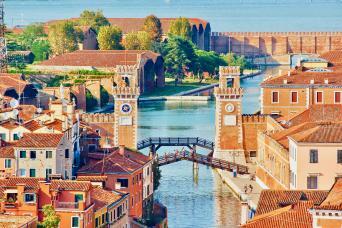 We make our way through the labyrinth of alleyways into the heart of Castello, the largest residential area of Venice. 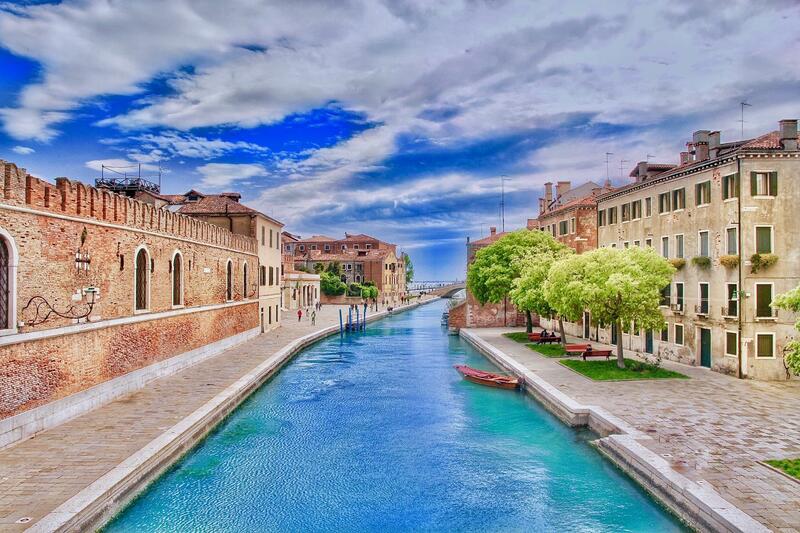 Passing through Campo Della Bragora, now Bandiera e Moro and then through Calle Della Morte (Street of death), your guide will tell you about the people sentenced to death here, by the Venetian Council of 10. We continue our tour and arrive at the School of San Giorgio Degli Schiavoni, which holds a painting by the famous artist “Carpaccio”. 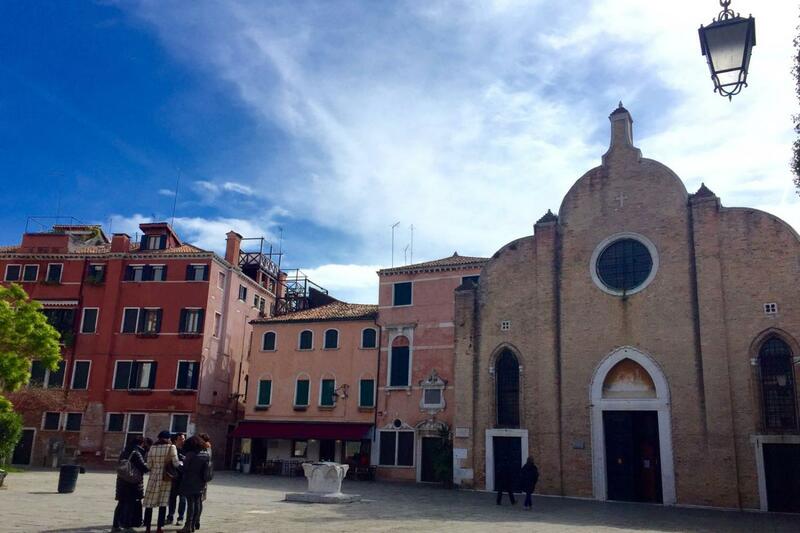 We then continue our walking tour to San Francesco Della Vigna, the church is dedicated to San Francesco Di Assisi. Crossing the Ponte Del Cristo we arrive at the Celestia, which is on the eastern side of the city overlooking Saint Michele's cemetery and the Island of Murano where they make the glass. We then following a special constructed walkway which goes around the outer wall of the Arsenale, (which means the house of industry). Today this is a military area and not open to the public, and once known as the most important ship building yard in Europe. 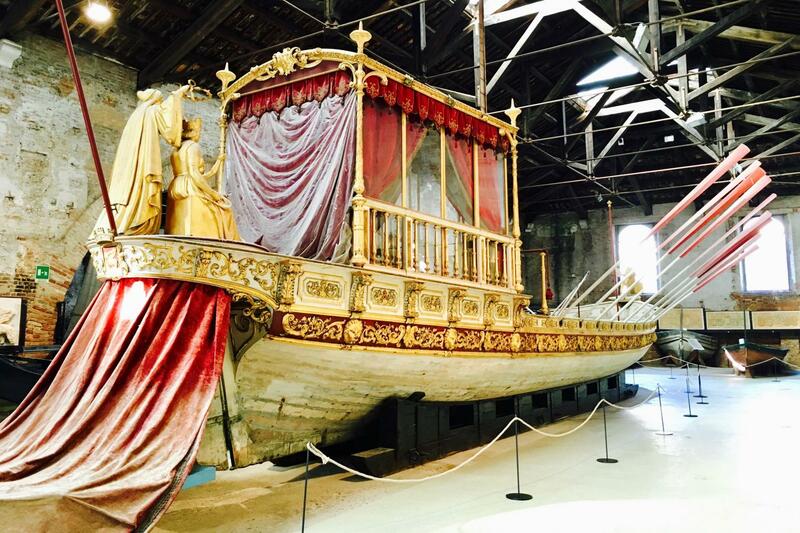 We continue our walking tour making our way towards the magnificent entrance of the Arsenale passing traditional maritime houses of famous captains and merchants from the Venetian Navy. Arriving at the Ships Pavilion we skip the line with your guide, here you will see many historical Venetian boats, including a copy of the Bucinotoro, the Disdotto, the funeral Gondola of the Venetian Doges and also several war ships, giving you a real feel of the maritime history of the city.